The UFC’s “Media Day” at Barclay Center in Brooklyn on Thursday, April 5, turned into a much bigger event than anyone expected when UFC champion Conor McGregor (23-3-0), who wasn’t scheduled to be there, showed up backstage and attacked a bus filled with rival fighters, breaking a window and injuring two UFC fighters. The melee caused the cancellation of three preliminary fights. UFC President Dana White said that McGregor’s group of approximately 20 revelers were let in to Barclays Center by credentialed journalists from McGregor’s website The Mac Life. “They stormed the building, got down to the loading docks where the fighters were getting on buses and started to attack the buses with trash cans” as well as metal dollies, White said in a statement. There is video of McGregor’s attack along with that of Barclays Center security preventing him from doing more damage. 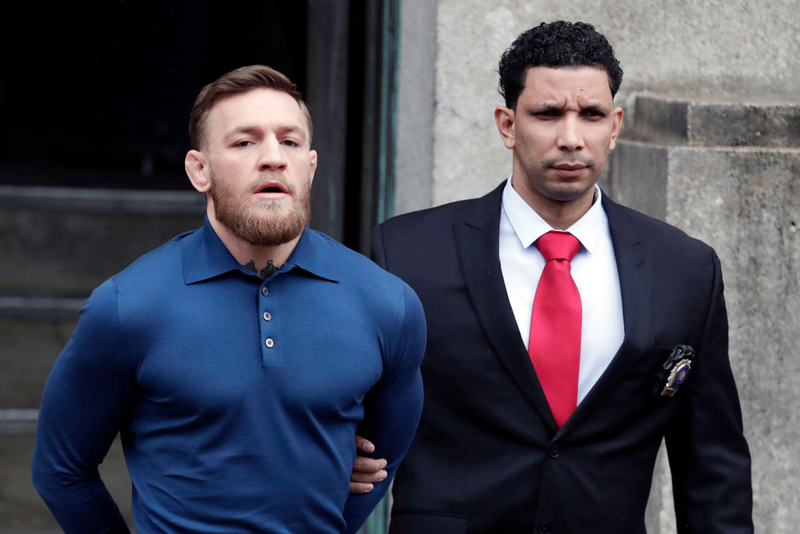 Instead of facing an opponent in an upcoming bout, McGregor could be facing as much as 11 years in prison for criminal charges involving assault, attempted assault, menacing and reckless endangerment. Two of the charges are felonies. If convicted, McGregor, a citizen of Ireland, could be banned from entering the U.S.